Fitzgerald USA, a national leader in the trucking industry, has renewed its sponsorship of the popular NASCAR XFINITY Series Fitzgerald Glider Kits 300 at Bristol Motor Speedway (BMS), affirming its partnership with the track in a multi-year agreement announced today. 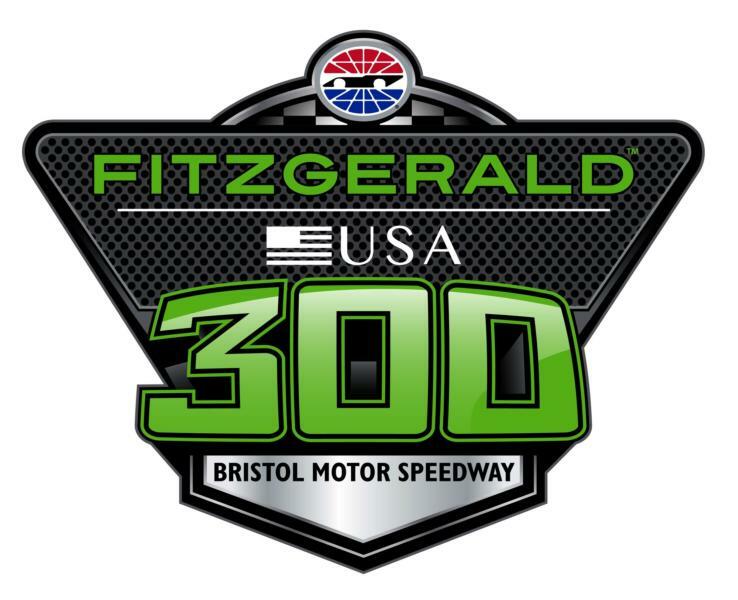 As part of the announcement, BMS and Fitzgerald debuted the new name of the race and its logo: beginning spring 2019, the race will be known as the Fitzgerald USA 300. "We are very proud to have Fitzgerald as part of our big Bristol family," said Jerry Caldwell, executive vice president and general manager of BMS. "Their long-term, leading role in the trucking industry gives them hands-on experience with the kind of power and roar that race fans love. They are the perfect fit to headline this event and a tremendous ally in our mission to deliver excitement to guests." The announcement follows Fitzgerald's recent, multi-year agreement to become the entitlement sponsor for the NHRA Thunder Valley Nationals at Bristol Dragway, and arrives just prior to the company's popular Fitzgerald Peterbilt Truck Show, scheduled for early May at the Dragway. "My family has had our hands on engines for years, and racing is something we're all passionate about," said Tommy Fitzgerald, Sr., president of Fitzgerald USA. "We understand the importance of customer service, relationship building and delivery of a high-quality product, and are proud that Bristol Motor Speedway shares and reflects these values. We look forward to continuing our partnership and can't wait to share these events with the million-plus guests who come to Bristol every year." To learn more about all of the Fitzgerald brands, visit www.FitzgeraldUSA.com. More information about the upcoming Fitzgerald Peterbilt Truck Show is available at www.FitzgeraldTruckShow.com, and tickets for the Fitzgerald USA Thunder Valley Nationals weekend are available by visiting www.BristolTix.com or calling the Bristol Motor Speedway ticket sales center at 423-BRISTOL.